New Zealand’s online sports betting community enjoys a wide variety of sports worldwide, and the-fast-paced excitement of Aussie Rules footie is just as popular across the Tasman Sea as it is in its native land. Fans of the Western Bulldogs in particular are impatient for the AFL 2017 Toyota Premiership to start on March 23, because the Bulldogs’ triumph in the AFL 2016 Toyota Premiership Final was the club’s first since 1954. 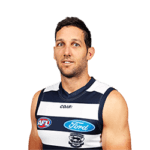 Supporters will be keen to see if the champs can hang onto the title, or whether this year will mark a return of the drought. The Bulldogs are also fielding a side in the NAB AFL Toyota Premiership Women’s Competition for the first time this year, and that kicks off on February 03. It will run every weekend until the Grand Final on March 25, so there is plenty of footie action to keep Kiwi punters entertained until the Men’s Competition begins. The opening match of the AFL 2017 Toyota Premiership on March 23 is scheduled between the Carlton Blues and the Richmond Tigers at the MCG. It should be an epic clash, as both teams have everything to play for this season. Melbourne derbies always draw enthusiastic crowds anyway, and with the Tigers slumping from consistent places in the Top 8 on the AFL ladder for three years running to 13th last year, they will be eager for a comeback. However, the Dark Blues finished only one spot behind them at number 14 on the 2016 ladder, and Carlton are clawing their way back from an unprecedented 18th place, the low point in a trough that had been worsening since 2002. So they look like a team on the up, and the Tigers will find them no pushover. 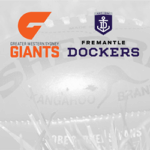 However, the team to watch this year, according to the bookies, is the Western Sydney Giants, currently priced at AU$4.50. With the Bulldogs second-favourites at AU$5.50, this season could well end up in yet another nail-biting Melbourne-Sydney rivalry. New Zealand fans should also keep an eye on the AFL 2017 Toyota Premiership pre-season, the JLT Community Series, for an indication of how their teams will perform in the Premiership season. The opening match on Thursday, February 16, is another Melbourne derby: the Collingwood Magpies versus the Essendon Bombers at the Etihad Stadium. 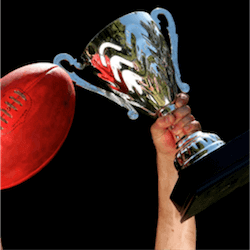 Great Weekend AFL Action This week’s AFL matches set for the weekend of the 18th to the 20th of August promise plenty of action and excitement for all avid punters ….